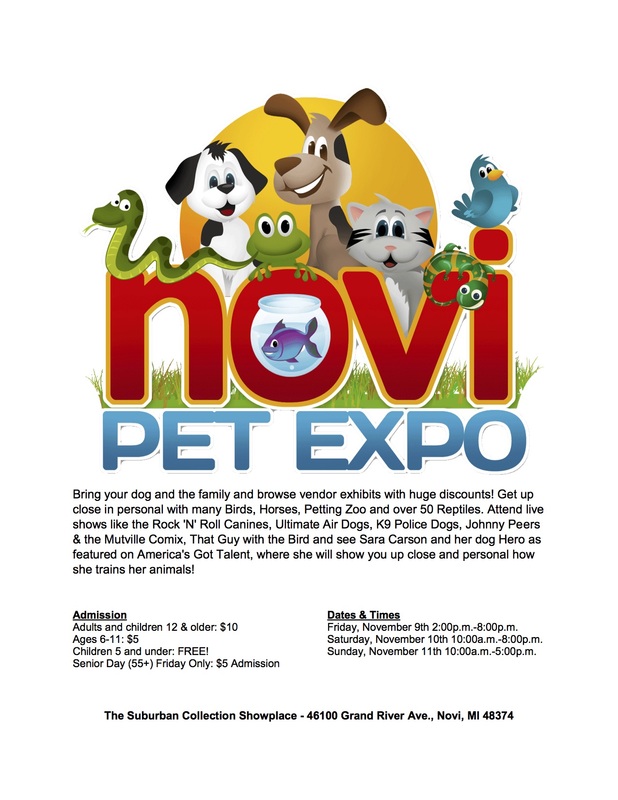 Play, Adopt, Learn and Shop at the 2018 Novi Pet Expo. Bring your dog and the family and browse vendor exhibits with huge discounts! Get up close in personal with many Birds, Horses, Petting Zoo and over 50 Reptiles. Attend live shows like the Rock ‘N’ Roll Canines, Ultimate Air Dogs, K9 Police Dogs, Johnny Peers & the Muttville Comix, That Guy with the Bird and see Sara Carson and her dog Hero as featured on America’s Got Talent, where she will show you up close and personal how she trains her animals!